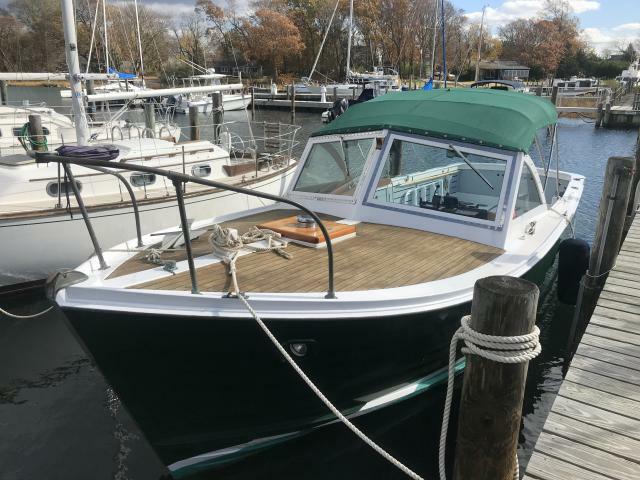 1965 26' Mackenzie Cuttyhunk, Buddy Boy, in New Jersey. Documented vessel, small block V-8, electronic ignition, fwc, Edelbrock 4-barrel carb. 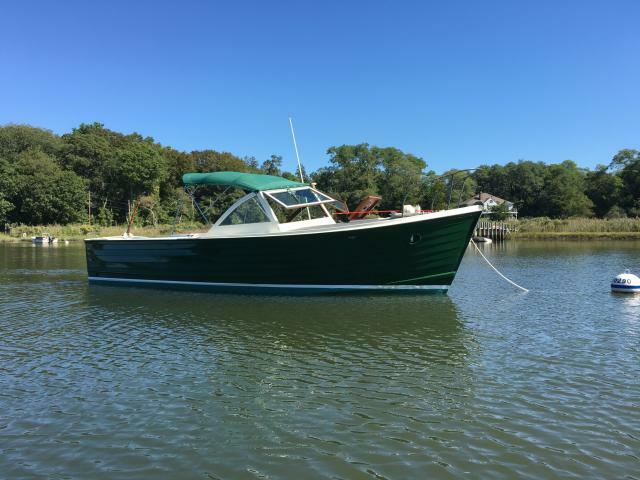 Winner of first prize in classic sportfish/sea skiffs at Antique and Classic Boat Society, Barnegat Bay Chapter, Sept. 2015. Must Sell $15,000. Contact Debbi Brown (158dab@gmail.com). 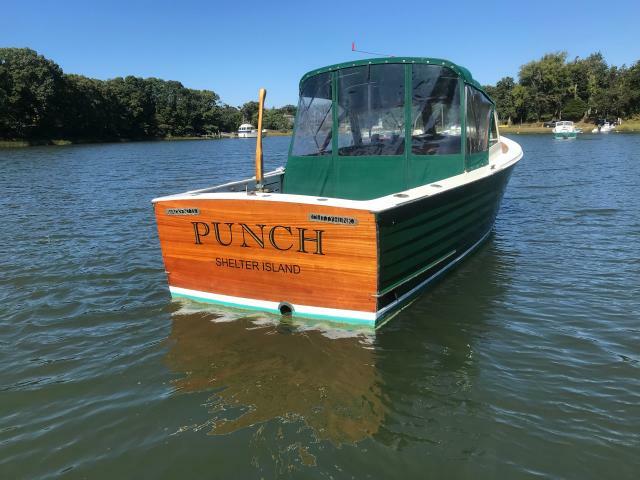 Punch is a 26’ Mackenzie Bass boat that was built at the Mackenzie/Gray boatyard in Taunton, Massachusetts in 1963. 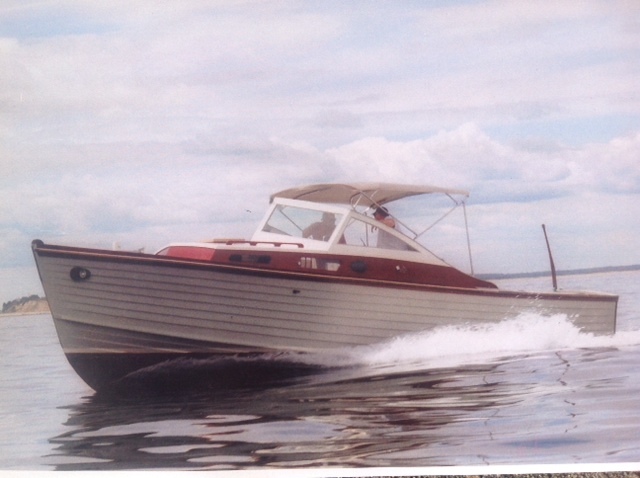 The boat has a 1986 130 HP Volvo-Penta diesel engine, all professionally maintained and in good working order. Over the years it has been meticulously cared for, with many upgrades when necessary. The boat has remained true to the original design. I have maintained Coast Guard Documentation.